I’m constantly intrigued by young people who have big dreams. Especially those who understand how hard it is to make a success out of themselves, like Nadir Pearson. Through my digging a bit deeper, I found that he has a personal connection to the Ardent Lift, which is the little machine that I find irresistible when I decarb cannabis. The Magical Butter Machine, or the LEVO are great next steps for edibles and drinkable cannabis, but that’s another topic for another day. 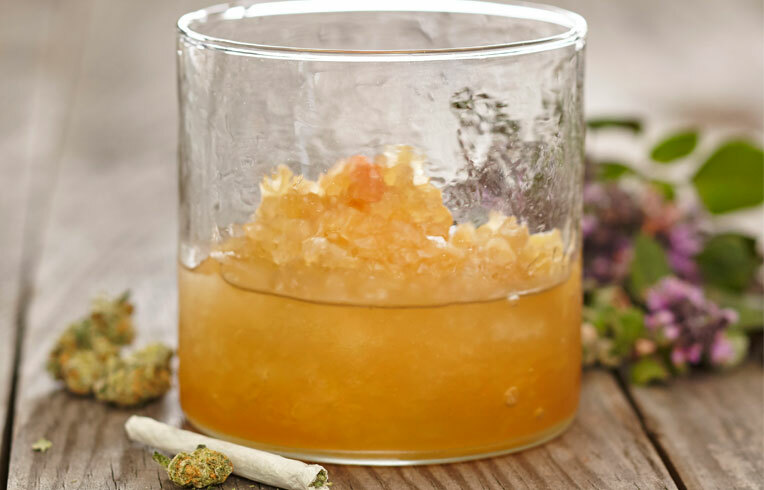 Mixologist, Author and Cannabis Alchemist, Warren Bobrow shares his views on Cannabis Infused Drinks Market. Warren Bobrow is a Banker-turned-Chef, Bartender/Mixologist and a world-renowned author. He is better known as “The Cocktail Whisperer”. Warren is a Cannabis Alchemist and is currently involved in the development of cannabis-infused craft drinks. Bobrow also writes for Forbes Website and many magazines and publications. He has published 5 books on mixology such as Apothecary Cocktails, Whiskey Cocktails, Bitters and Shrub Syrup Cocktails, Cannabis Cocktails, The Craft Cocktail Compendium. Warren in an exclusive interview with Cannabis Drinks Expo team shared his views on emerging Cannabis Infused Drinks Market. I’ll be appearing on Viceland Live February 27 at 9:00 pm EST! Please do tune in and watch me make some tasty cocktails. Cheers! I sat with Kim Rael for a few minutes at the Seed to Sale Show, held up in Boston, a couple days ago. I could immediately see the potential of her company, in between talking about everything else but her company. And then I forgot to give Kim my business card. That’s not like me, sorry Kim! At any rate, I was conversing with Tom Weihmayr of the Toronto Drink Factory about flavors, the potential for flavor driven products like cannabis in beverages and the like. A flash of inspiration put a light bulb into my head, and it led me back into my recent chat with Kim Rael. Why not take this thing called cannabis and spread the philosophy and medicinal benefits around the globe? Why not indeed? Which brings me back to the conversation that enjoyed with Kim. She’s whip smart, that’s immediately obvious, and I saw her mind working, always thinking of the next sentence carefully before putting the words into the air. Kim is a studied business-minded visionary. A deeply pragmatic, highly talented business woman who is a force for change. Becoming CEO of a major corporation in the cannabis field is not usually the role that someone aspires to, especially when it’s so risk filled. After all, there are certain regulations in every state, and of course the Federal Government as a bureaucracy to contend with. And of course the ‘stigma’ which is, quite simply the 900 pound gorilla in the room. That gorilla comes in many formats, be it regulatory, or more simply, the law of the land, or even a disapproving family member. It takes guts to be a success in the cannabis world and Kim Rael is, for all intents and purposes making a massive dent in the veneer of the traditional business model. She is living the experience of a metric-driven entrepreneur, but the successes are far more vital when you are using someone else’s money. Sure it’s cannabis, and this CEO role, running the top of the house is no less important than a Forbes Fifty list member in traditional business. Because traditional business is about to be overtaken by intellectual superiority and women like Kim Rael, who is going to be very well known. I have every anticipation that Azuca and Inventive CBD will become household names before long. They offer the finest culinary products,that are unlike anything else on the market. Culinarians should be equally charmed with Chef Ron Silver involved in the Culinary equation. Certainly, he is someone who knows his way around flavor, quality, and most importantly, class. These full flavored products that certainly, ‘Raise the Bar’ in the form of fun, intriguing flavors, and the simplicity of execution. I’m honored to share Kim’s story, and her entrepreneurial style, based in real, old-fashioned business-sense. The kind that you find in rational thinkers, and in working entrepreneurs. Real hard workers.